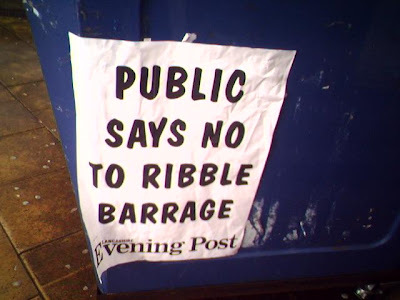 A survey of residents carried out by the Lancashire Evening Post (LEP) shows that an overwhelming 74% of people do not want Preston City Council’s Barrage (LEP front page 30/6/07). 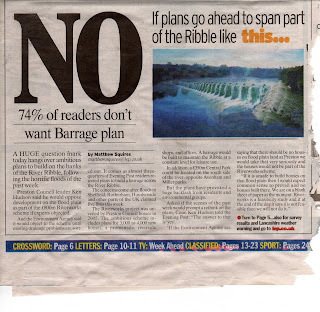 As a group of local residents, the results of this survey come as no surprise to the Save the Ribble Campaign. 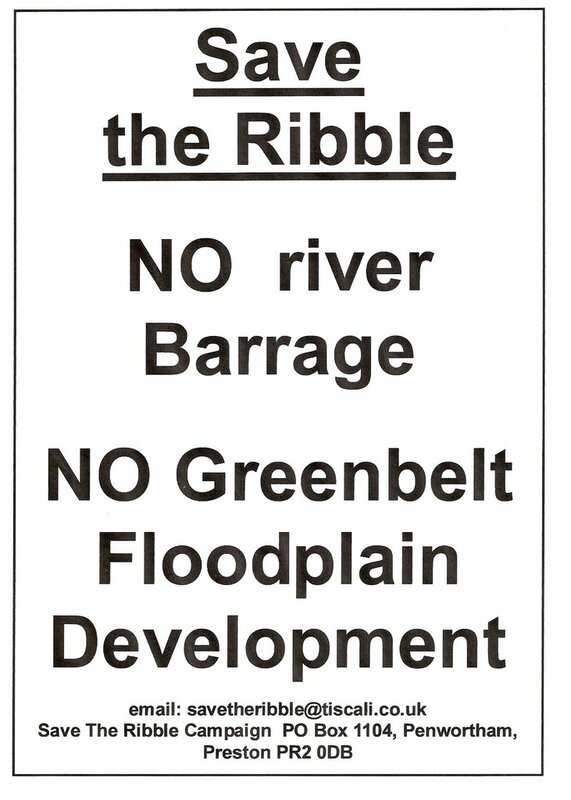 Since Preston City Council first unveiled its Riverworks project in 2005 we have campaigned against their proposal to construct a barrage on the Ribble and build on our green belt and floodplain, highlighting the disastrous consequences for our environment and local communities. The LEP survey shows that residents are opposed to the barrage primarily because of its threat to wildlife and the environment, as well as because of concerns about flooding, and because they think it is simply unnecessary. 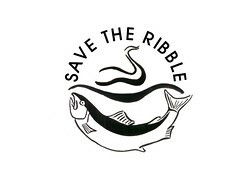 Residents are very aware that a barrage on the Ribble would interfere with its delicate ecosystem and have catastrophic effects on the wildlife that depends on the most important estuary River in Britain. 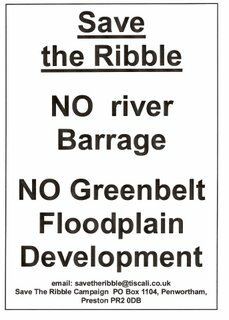 Residents are also concerned about the threat to their green belt and open spaces which would result from Preston City Council’s proposals to build an urban development (Riverworks Central Park) opposite Avenham and Miller Parks and to develop the Ribble corridor up as far as Brockholes. These developments will include building houses, shops and businesses on areas of floodplain. The LEP survey comes during recent flooding both locally and nationally and it is clear that the danger of building on our floodplain, also highlighted by the LEP is one that residents take very seriously. And there are new flood warnings in place across Lancashire. In response to the LEP survey and the concerns of local residents, the leader of Preston City Council, Coun Ken Hudson said that he would oppose development on floodplain if experts objected: “If the Environment Agency are saying that there should be no housing on floodplain land at Preston we would take that very seriously and the houses would not be part of the Riverworks scheme”. But as we have shown, experts already do object to developing on floodplain and the existing Environment Agency policy is to advise against building on floodplain. Indeed, in the same LEP article an Environment Agency spokesperson said: “We object to anything which will increase the flood risk. We don’t support any development on floodplain land”. Sounds like fairly clear advice to us. So why isn’t Coun Hudson and his Council listening? 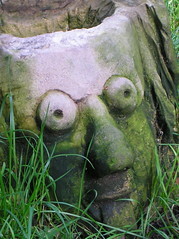 The problem for Preston City Council is that the housing and development is essential to the overall Riverworks project. They need to offer our green belt and floodplain to developers to help fund the many, many tens of £millions cost of the barrage. Without the housing development on our green belt and the riverside businesses and shops the barrage cannot be built and Riverworks is no longer feasible. Coun Hudson repeats the Council mantra that “Riverworks is a feasibility study only and if at the end of the day it says it is not feasible then we will not do it”. If Preston City Council chose to listen to the advice of experts it would have already accepted that Riverworks is not feasible and would drop its plans immediately before any further tax payers money is wasted in pursuing it. Unfortunately, as we have already highlighted, Preston City Council seems intent on pursuing the barrage and associated Riverworks development and sees them as “key project proposals” of its economic development strategy and vision to become the North West’s third City. The idea that Preston needs Riverworks to help it become the North West’s Third City is rejected by 73% of the residents surveyed by the LEP. It is clear that most residents would prefer an alternative vision for their area which enhances and protects their River and green spaces from development. We believe that it is high time that Preston City Council stopped listening to the un-elected and unrepresentative Preston Vision Board and instead started listening to and engaging with the concerns and wishes of local residents. Until then local residents will continue to actively oppose Preston City Council’s proposals to barrage our River and build on our green spaces. It is also worth noting that both the Tories and Lib Dems backed and passed proposals to move the power and decision making over large grants from the Council to the City Centre Committee. This effectively means that in the future most Councillors will not be able to get a say in large scale projects (for example, the feasibility study for the Barrage). This removes the bulk of democratic opposition (or support) to any project and renders voter representation virtually mute on the subject. The report presented to Council mentioned the Vision Board frequently and it looks increasingly likely that the Committee will become a rubber stamping body for whatever the Vision Board wants to do or recommends. In the LEP report, Coun Ken Hudson said that he would oppose development on floodplain if experts objected: “If the Environment Agency are saying that there should be no housing on floodplain land at Preston we would take that very seriously and the houses would not be part of the Riverworks scheme”. So I take it that they won't put houses there - but they will stillwant to put industrial/commercial units there - even more concrete and tarmac covering the land than houses with gardens!